These easy healthy banana oat muffins are a fantastic breakfast or snack and are perfect for lunchboxes. They’re a hit with kids and adults alike. Ok, I have to confess something: I have made these banana oat muffins every week, twice a week for the last 3 weeks. Not only are these the easiest banana muffins I have ever made, they are so absolutely delicious and my family and I can’t get enough. 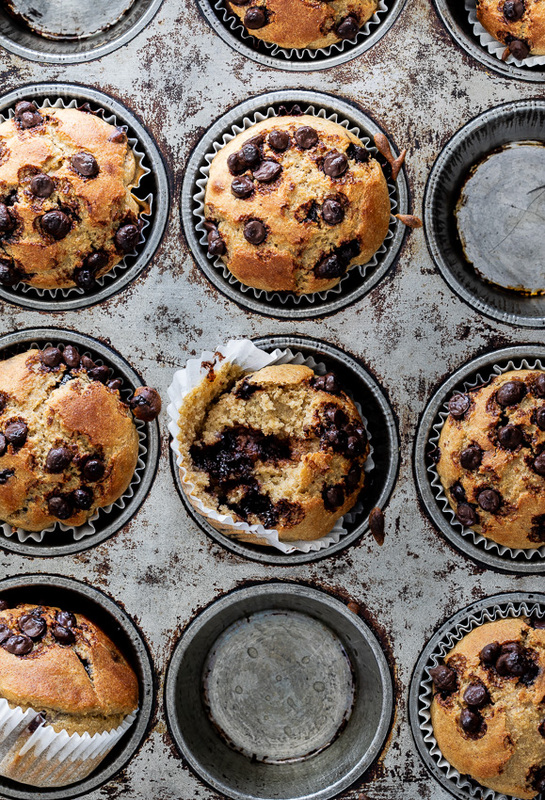 If you love banana bread, you will LOVE these and the added chocolate chips take these muffins to a whole new level. 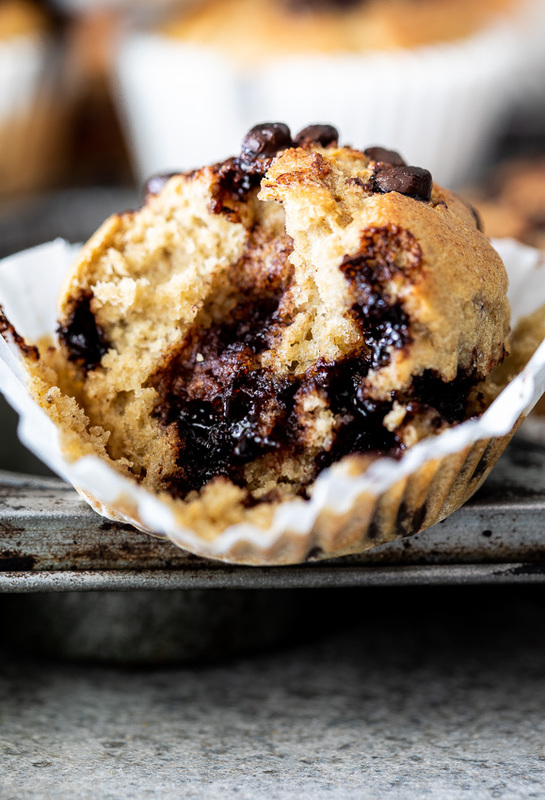 They add lush pops of sweetness and I’m not kidding when I say that these chocolate chip banana oat muffins are a new favorite in our household. How do you make banana muffins easy? By making them in a blender. This recipe requires a strong blender as you want to blend the rolled oats until they are very fine in texture. 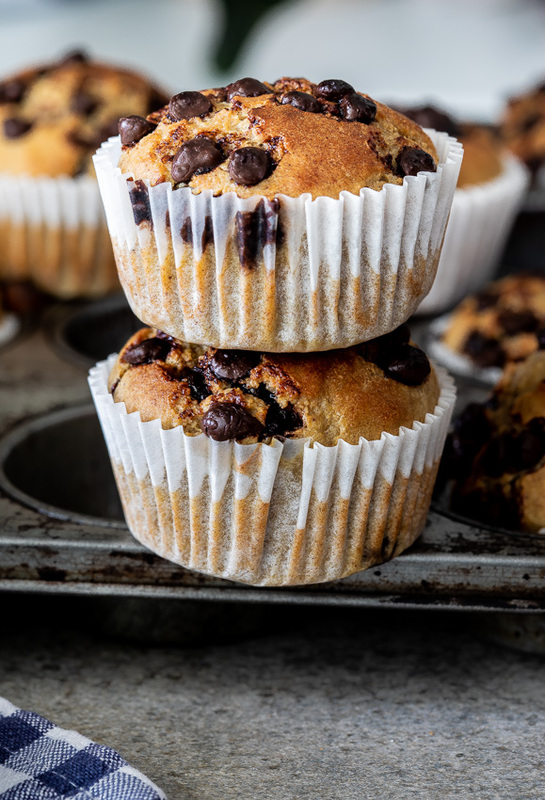 Because there is no flour in this recipe, you can blend everything together to make the muffin batter or blend the oats first into a flour and then add the remaining ingredients. You can also substitute oat flour for rolled oats, but make sure it’s gluten free. How do you make banana oatmeal muffins? This muffin recipe can be made in a blender easily. Use raw, rolled oats (if you are gluten free, check the packaging to make sure your brand of oats is gluten free. All oats are naturally gluten free but its often processed in plants with other grains so can easily be contaminated) for the best results. Quick-cooking oats and steel-cut oats won’t work here. 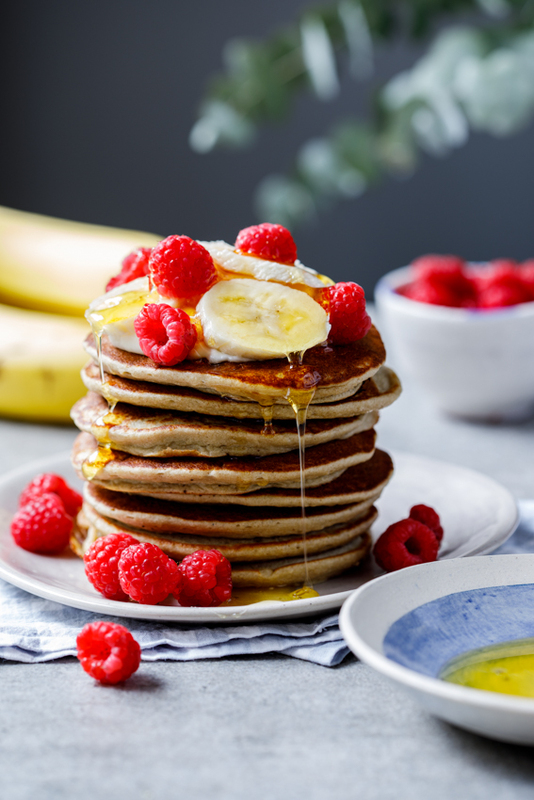 I use large, ripe bananas as their sweet, starchiness helps bind the muffin batter along with the eggs. For flavor I added cinnamon but you could add vanilla or even strong coffee to give the muffins a different taste. For added sweetness I added a tablespoon of maple syrup but you could use xylitol, honey, coconut sugar or unrefined sugar instead. You could also leave it out completely as the bananas and chocolate chips do add sweetness to the muffins. I used dark chocolate chips and stirred them through the batter once it had been blended. These banana oatmeal muffins are baked for 15-20 minutes or until a skewer inserted comes out clean. 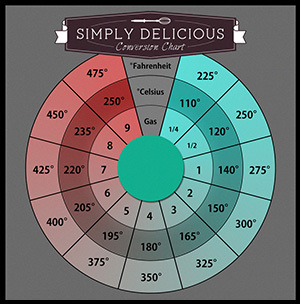 Because there is so little sugar in the batter, they don’t brown a lot but that can easily be overcome by giving them a short blast under a hot broiler/grill. 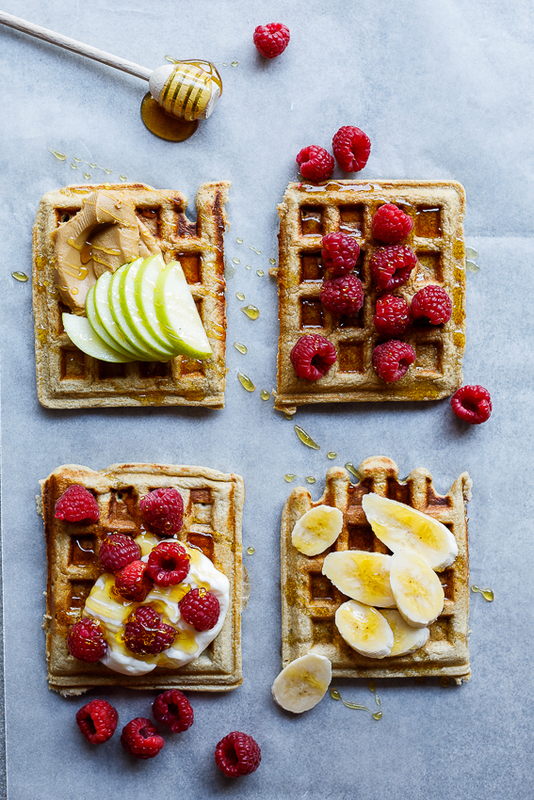 What can you make with bananas? These easy healthy banana oat muffins are a fantastic breakfast or snack and are perfect for lunchboxes. They're a hit with kids and adults alike. Pre-heat the oven to 180ºC/350ºF and line muffin trays with muffin cases. Combine all the ingredients (except for the chocolate chips) in the jug of a powerful blender, starting with the liquids to ensure easier blending. Blend until smooth. For a smoother result, first blend/process the oats to a flour before blending with the remaining ingredients. Stir the chocolate chips into the batter then transfer to muffin cases. Place the muffin trays into the oven and bake for 15-20 minutes or until a skewer inserted comes out clean. Because the sugar content is so low, the muffins won't brown much so I gave them a quick blast under the pre-heated grill/top element until they were golden brown but this is optional. Remove the muffins from the oven and allow to cool completely before serving. COOKS NOTE: These recipes will last for 3-5 days if kept in an airtight container at room temperature. Fantastic! 🙂 So happy to hear that. 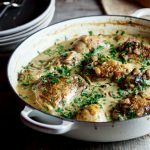 Amazing Recipe – comes out so nicely! I used Almond Milk and Coconut Oil and Cocunut Sugar as my choices. Kids love it!! Going to try Coconut Milk next time as a variation ? Thank you for sharing the recipe!!! They are so yummy!! But i have trouble with them that they stick to paper and don’t come so easy off. Do is way how get them out nicely? 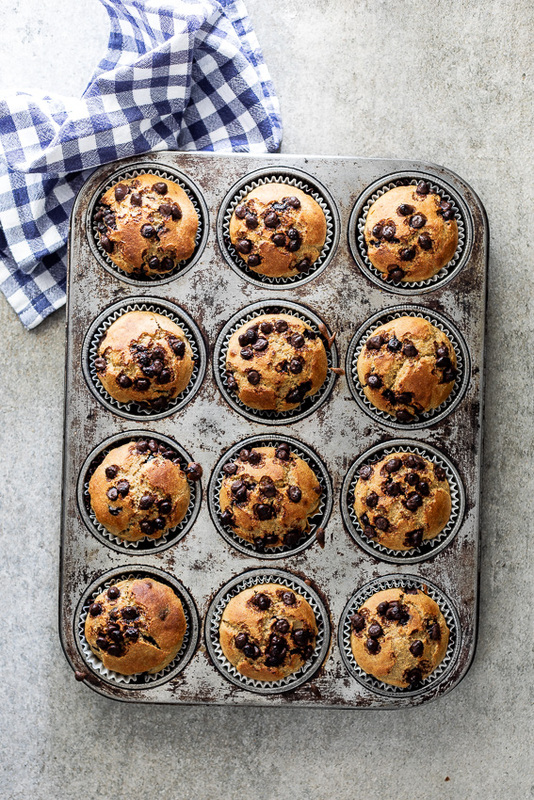 You could give the papers a quick spray with cooking spray to prevent them from sticking or you can bake the muffins directly in a non-stick muffin pan. Great recipe and so much better (and easier) than other gluten free muffins I’ve tried. Second batch in 2 weeks, by the time the last tray comes out the oven – a bunch have been eaten already! 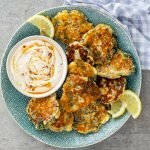 Thank you for this recipe, I struggle with tummy issues and it helps having a recipe that’s gluten freebAND YUM! Yay! I’m so happy to hear that you love this recipe so much. I made these muffins and my husband ate one and asked “what did you do to your banana bread recipe? 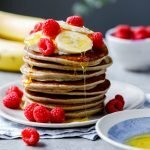 This is the best ever!” I then told him its healthy too and he promptly told me to please make them every week because he could eat 2 just as a snack! I’m making them this week for my son’s bake sale too. They’re going to be a hit! Hahaha! I love that! And I hope the kids love them. 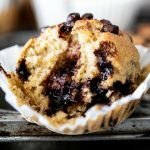 Best healthy muffins I’ve ever tried. 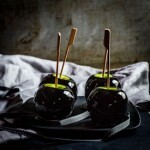 They tasted great and you would never say they are so low calorie. Thanks so much for your comment Grace. I’m so happy you liked them. Bet these disappear fast Alida! They’d be a hit here! Totally. I swear Aidan inhales them, don’t know what I’m going to do with him when he’s a teenager. Oh yes ! Simple and delicious !